Santrauka: Everything Fern Cullen knows she's learned from her Mammy -- and none of it's conventional. Taught midwifery at an early age, Fern grows up as Mammy's trusted assistant in a small English village and learns through experience that secrets are precious, men can't be trusted, hippies are filthy and people should generally mind their own business. But when one of Mammy's patients allegedly dies from a potion prescribed to induce abortion, the town's people rally against her outdated methods, and Mammy ends up hospitalized, due to a bad fall and a broken heart. Now the county is threatening eviction if Fern can't come up with the overdue rent, and a bunch of hippies and a woman with hoop earrings with a mysterious connection to Mammy seem to be the only people with any answers. As Fern struggles to save her home and Mammy's good name, everything around her begins to transform, and she soon uncovers a legacy spotted with magic. 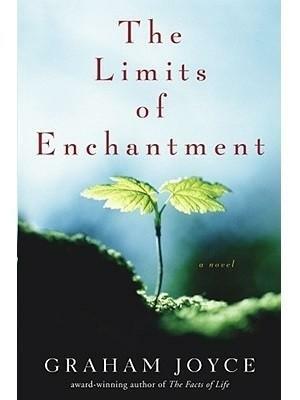 The Limits of Enchantment is at once a story of two women: one with a deep past and one who finds her history in the other. It is a tale of midwifery, alchemy, magic, truth and identity, from an author with the extraordinary ability to blend literature and fantasy with surprising dexterity. Komentaras: Kieti viršeliai, 265 psl.